In Florida, bribery is giving, offering, or promising to give something of value to a public official in an attempt to influence that individual’s decision. The crime also includes a public official taking or soliciting such a bribe. Bribery is a white collar crime. Like most white collar crimes it can be either classified as a federal crime of a state crime depending on circumstances surrounding the offense. Typical bribery situations generally involve the following public agents of entities. A professional practitioner such as a doctor, lawyer accountant, etc. Bribery cases are very complicated and you will need an attorney with experience in this area of law. It is no defense that the official offered the bribe did not take it or solicit it. It is also no defense that the official was not in office or did not have the power to perform the solicited act. If a public official or other listed person solicited a bribe, it is no defense that the person solicited did not give or offer a bribe. Bribery charges can often result out of a misunderstanding. A poorly timed joke with a humorless government employee could result in an arrest. There is also sometimes a thin line between permissible payments, legal gratuities, or incentives offered to the organization as a whole and wrongful conduct. This could lead to either possible misperception or accidental violations of the law. 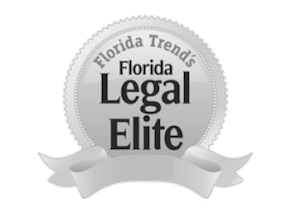 An experienced Florida criminal attorney can help show that no criminal conduct was intended and possibly persuade the State Attorney to not pursue charges in the interest of justice. If the State Attorney proceeds with the prosecution, the lawyer will fight to show that even if the prosecution witnesses truly believed a bribe was being offered, that there actually was no bribe within the meaning of the law. Remember, there are both sides of the law that can argue whether an action was bribery or not.